Clusterize parameter in PDi is indeed it a very usefull parameter to make the collapse of structures easier. 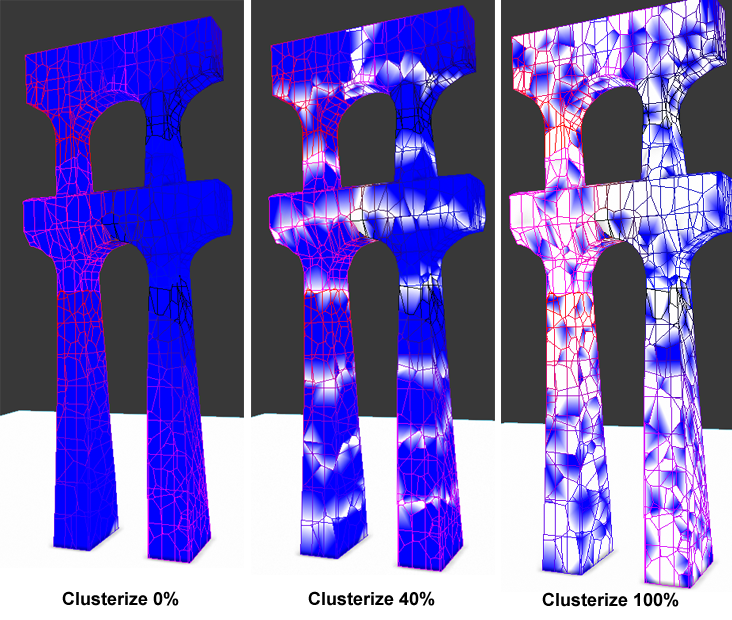 it is a percent parameter that controls in some way the capacity to generate secundary cracks, these cracks will make hard structures breaking apart in clusters of diferent size depending on the clusterize parameter value. I have added a sample image.